Image of car fire from viewer submitted video - Photo via WINK News. 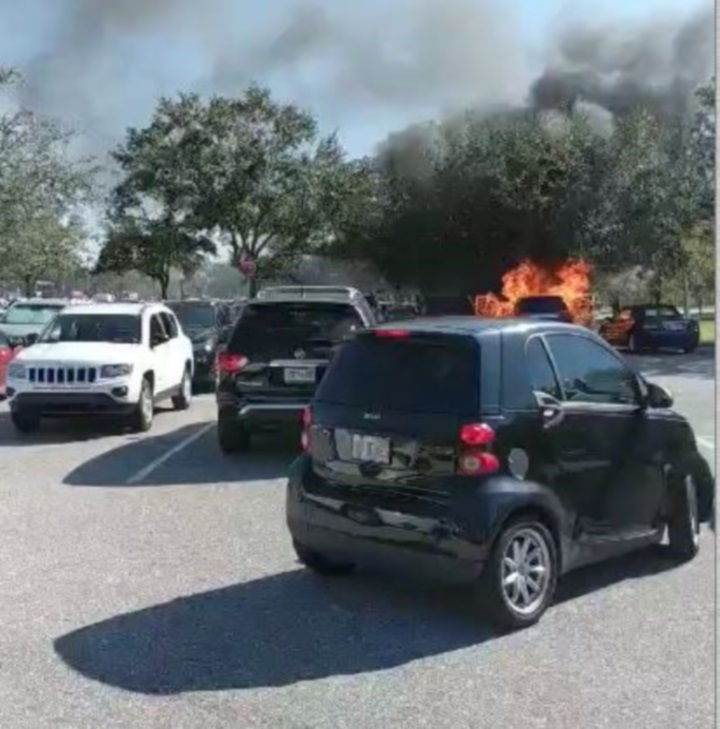 Cars parked in a supermarket parking lot burst into flames in Lee County, and it is still unknown how it happened. Cape Coral Fire Department responded to a three-vehicle fire in the Del Prado Walmart parking lot in Cape Coral Monday. An employee was having lunch in her car when she saw smoke coming from under the passenger seat. She was able to safely evacuate the car before the fire spread to the rest of the vehicle and to the vehicles parked on either side. Viewer submitted video – Video via WINK News.